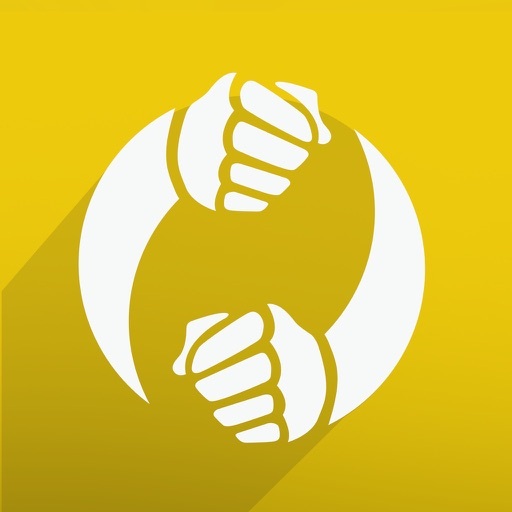 CombatFlows by Interactive Learning Solutions Inc.
by Interactive Learning Solutions Inc. 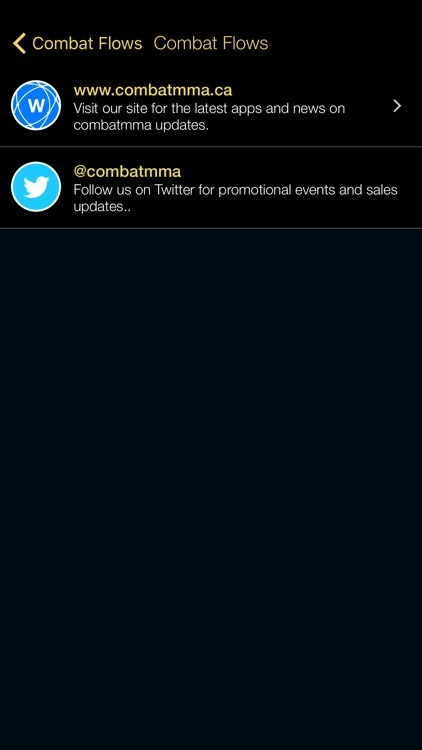 Welcome to CombatMMA - Your source for cutting edge training and interactive martial arts training apps. - watch the video on your TV with AirPlay®. 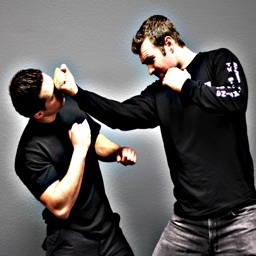 Combat Flows offers you an opportunity to train several different combative flows moving from kickboxing to trapping (clinch range) to ground fighting. 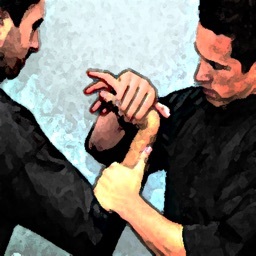 The idea of flow is key in martial arts combat - to be able to transition from one range of combat to another, or one art to another and demands a higher sense of awareness and developed attributes. The techniques in these videos, therefore, are not intended for the beginner martial artist. 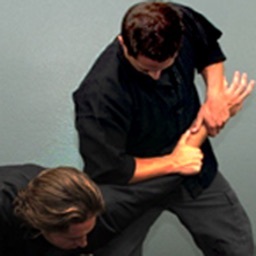 They are geared towards those that have a background in Jeet Kune Do, or those that have some proficiency in all range combat. These are not just sport MMA techniques. 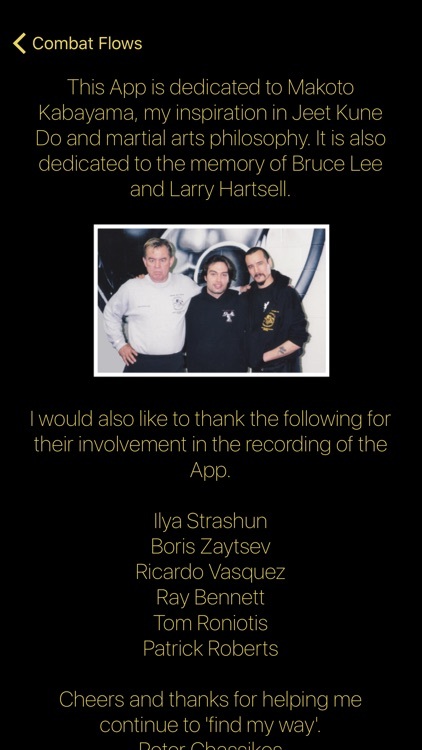 There are 16 combative flows in this app that incorporate concepts from Bruce Lee's Jeet Kune Do. These include arts from: Savate, Muay Thai, Wing Chun, Shoot Wrestling, BJJ, Catch Wrestling, Filipino Arts, and more. 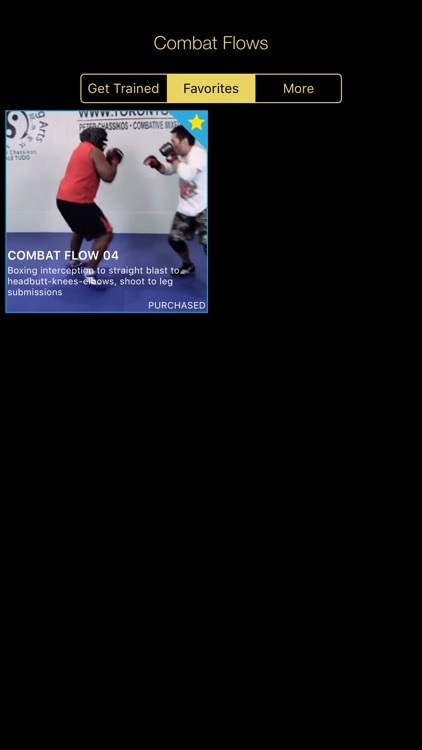 We have also incorporated into this app a thumbnail video gallery to preview each combative flow at the same time. Just click on the video you want to see! 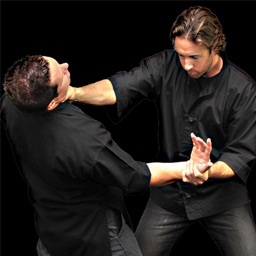 Peter Chassikos is a Jeet Kune Do instructor that has over 25 years experience in the martial arts, training JKD and other arts since the late 1980s. He is an instructor in Jeet Kune Do, a certified black belt in Jiu-Jitsu and a 3rd degree back belt in Kickboxing. Peter has been featured in Black Belt Magazine (North America) and Combat Magazine (UK). He has conducted seminars in North America and in Europe. 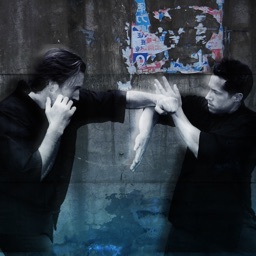 Peter Chassikos heads Toronto JKD and has developed his own style of training and fighting that stems from Bruce Lee's original teachings of JKD. It's true combative mixed martial arts... It's CombatMMA!